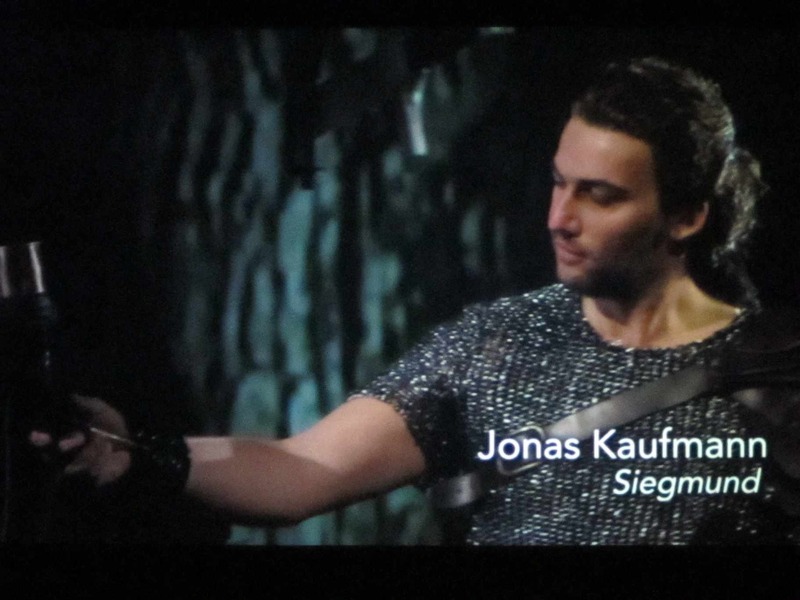 Classical music news: Metropolitan Opera stars Jonas Kaufmann and Anna Netrebko back out of Met’s tour to Japan while others audition to get in the Met. 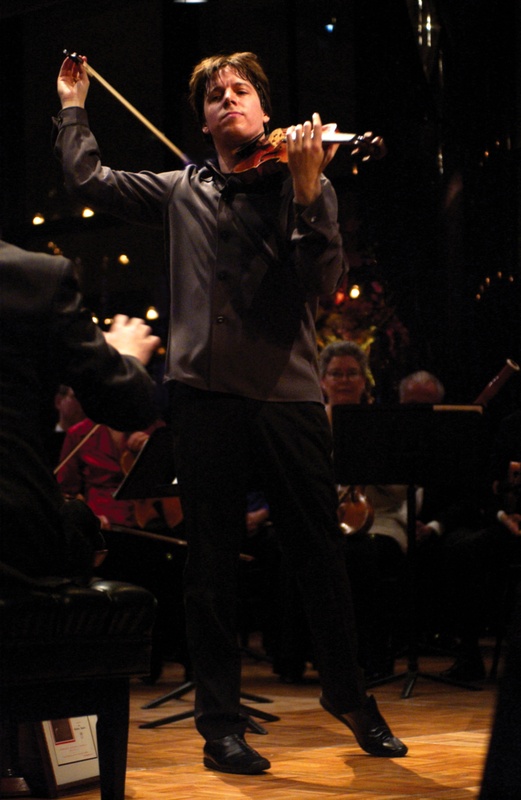 Joshua Bell is the new head of Academy of St. Martin in the Fields. 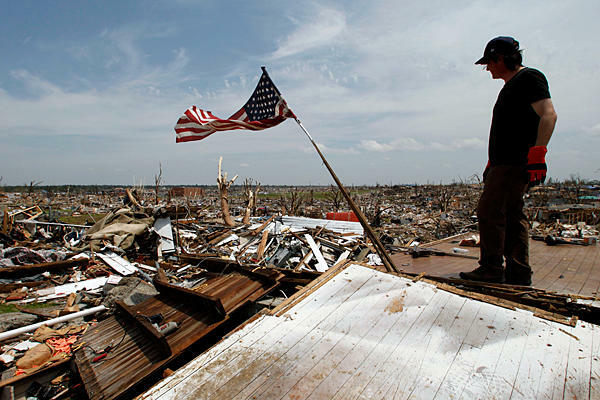 American orchestras will hold benefits for tornado victims. Royal Opera also to go “Live in HD” — as the Los Angles Philharmonic and Gustavo Dudamel do this Sunday. I have to admit that I have mixed feelings when I read that opera stars won’t go to Japan. It’s easy to say they are overreacting. But Japanese officials haven’t been honest about radiation and it may not take much to ruin a major career. Opera singers – who makes some unbelievable facial expressions when performing, as you can see below –have to be notoriously protective of their voices. And enjoy some of the good news this week. ITEM: American violinist Joshua Bell (below, in a photo by Richard Termine) is the new conductor of the London-based The Academy of St. Martin in the Fields. 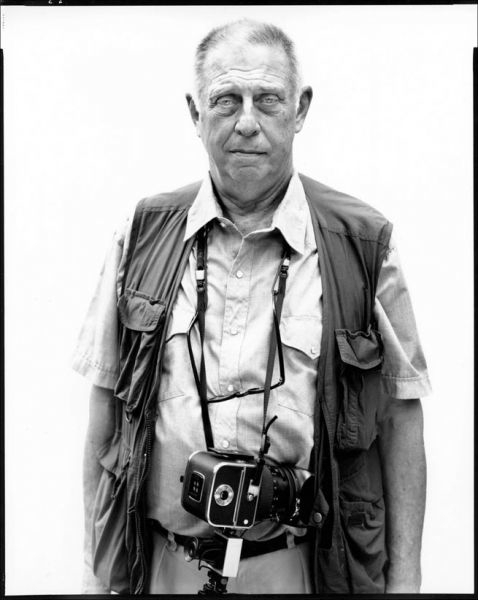 I’ve seen a lot of changes and still love that venerable group. I go back to when Sir Neville Marriner founded and conducted it 50 years ago and rose to international fame as a conductor of full-size symphony orchestras, not just chamber orchestras. ITEM: Is the Royal Opera House copying the Metropolitan Opera’s “Live in HD” series as its prepares to beam broadcasts, some live, of operas and BALLET (a smart addition) worldwide? Why not? I say. After all, the formula works and helps the cause of classical music. 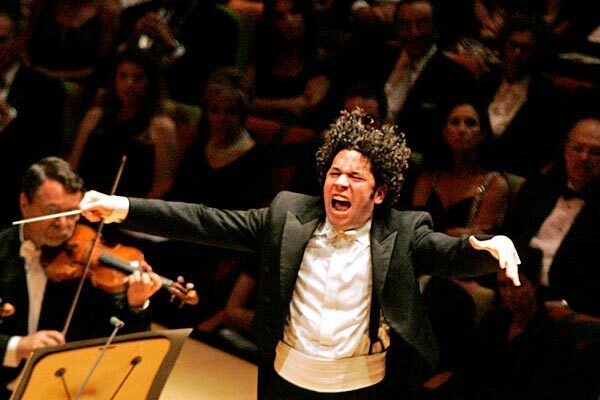 The Los Angeles Philharmonic, superstar with conductor Gustavo Dudamel, did it this year. (In fact, tomorrow, on Sunday, June 5, at 4 p.m., the LA Phil and Dudamel – below — conclude their three-concert HD season with an all-Brahms concert – featuring the Fourth Symphony and Double Concerto for violin and cello – which will be screened at the Point and Eastgate cinemas.). ITEM: Symphony orchestras raised money for victims of Japan’s earthquakes and tsunami. Now American symphonies will do the same for victims of tornadoes in the south.